NXT UK is filming television today and they had an eventful night. Not only was a match booked for NXT TakeOver: New York, but a very big debut took place as well. WWE has been trying to secure Viper to a contract for a while, but things just didn’t work out. AEW also had interest in bringing Viper in, but she decided to sign with WWE. After appearing in the crowd during NXT UK TakeOver: Blackpool it was supposed that it was only a matter of time before she debuted. Viper officially debuted for NXT UK on Saturday during their television tapings. 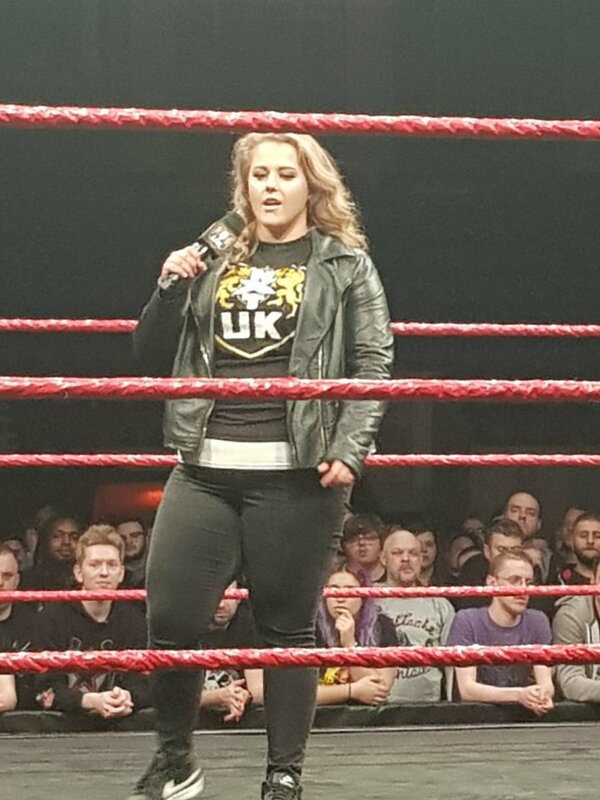 She came out and cut a promo wearing an NXT UK t-shirt. It doesn’t look like she’s had her first official match yet, but the NXT UK Women’s Division better take notice.